The Republican-controlled State Senate may consider legislation as early as tomorrow, February 9th, that would effectively undermine organized voter registration drives in Wisconsin. . While we vigorously support online voter registration, we do not support this version or this legislation. 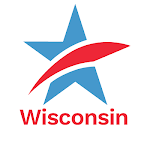 The League of Women Voters of Wisconsin, and many other good government groups in Wisconsin, oppose Senate Bill 295 in its present form as well. The GOP proposal allows only those with a Wisconsin drivers license or state-issued ID access to the online system. As a result, those individuals less likely to have those forms of ID (minorities, the elderly, low-income persons, and students) – the very people most likely to be served by special registration deputies (SRDs) – will be left out in the cold, having far fewer options to be able to register to vote. This legislation would make Wisconsin the only state in the country to offer online voter registration at a cost that outweighs the benefits of instituting such a system. Currently, special registration deputies are appointed by a municipal clerk to register fellow citizens at many venues within their municipality. You will often see SRDs during election season at libraries, community centers, nursing homes, farmer's markets, outside of banks, at supermarkets, and on college campuses. 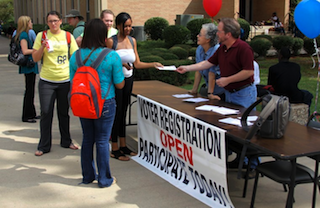 The success of voter registration drives – conducted by groups like the League of Women Voters, the NAACP, Voces de la Frontera, and the American Association of University Women – hinges on the SRD's authority to register voters. SRDs have been registering voters in Wisconsin for over 40 years without any problem whatsoever, and there is no valid reason to eliminate them. Please help us stop this latest attempt to make it harder for thousands of Wisconsinites to be able to register and to vote. Call or email your State Senator TODAY and urge them to oppose SB 295! If you don't know who your State Senator is, go here. Spread this post far and wide. Act now! GOP Legislators Target Voter Registration DrivesTweet this!